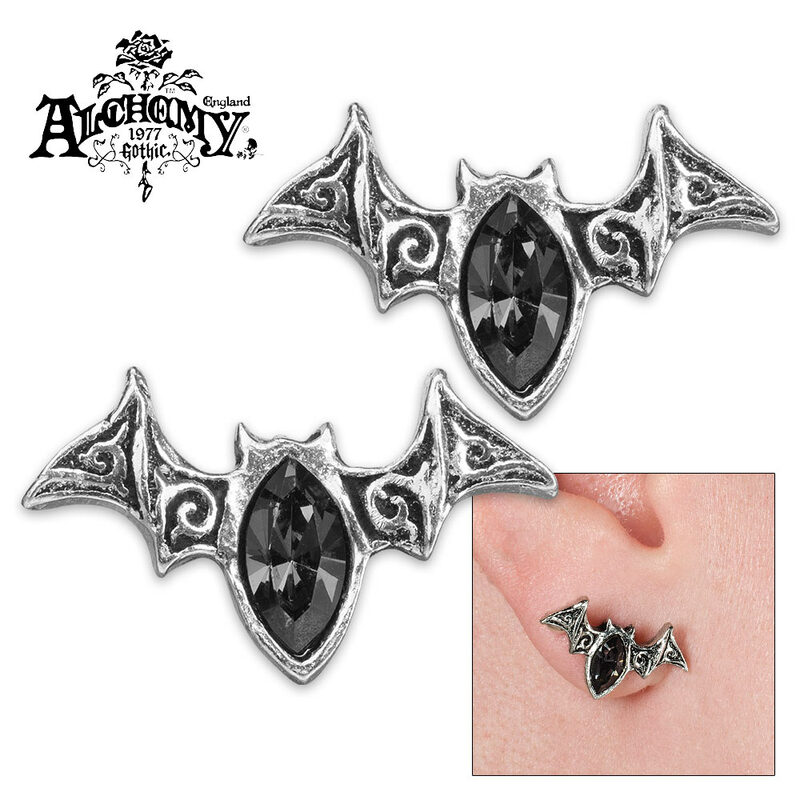 Mystic Bat Black Crystal Earrings | BUDK.com - Knives & Swords At The Lowest Prices! With a sparkling body of dark, cut crystal, the quintessential creature of the night is elegantly crafted into stunning earrings. 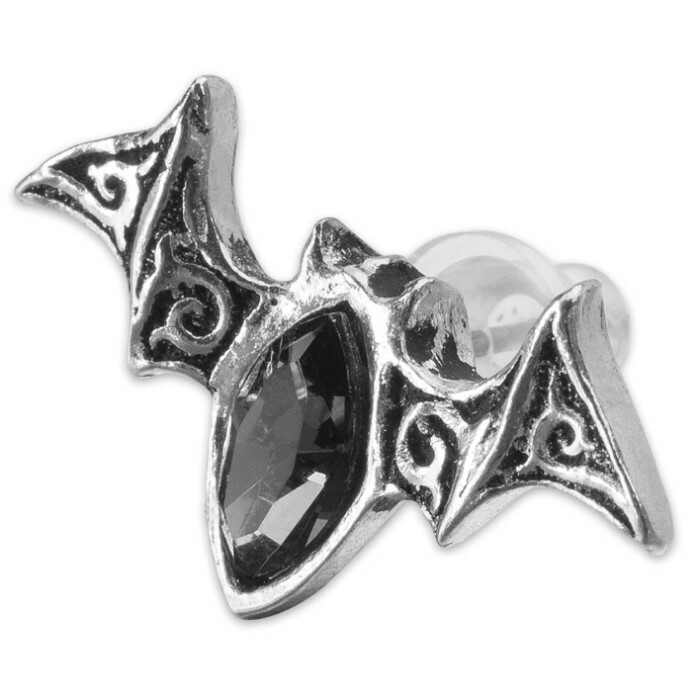 The pair of pewter ear studs in the form of small, stylized bats, features black Swarovski crystals. The ear-posts are of rust-resistant surgical steel. 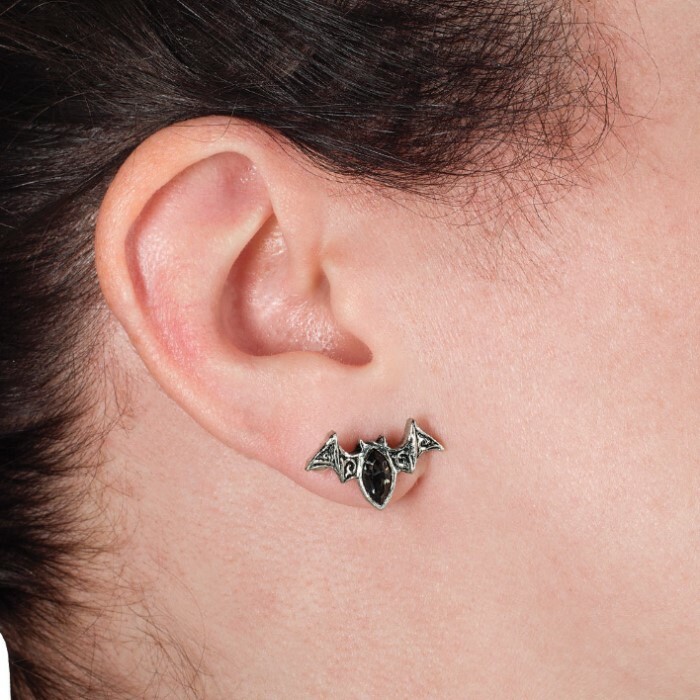 Add that touch of Gothic elegance to your attire with our Mystic Bat Earrings.